About | B Team Buffalo Inc. The B Team is a non-profit organization led by young professionals dedicated to promoting a lasting sense of civic pride in the Greater Buffalo area. 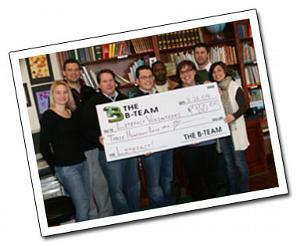 The B Team creates high-impact signature projects and assists other organizations with the development and execution of volunteer-driven events. We aim to inspire community engagement that translates into ongoing change. *We are a 501(c)(3) non-profit organization.